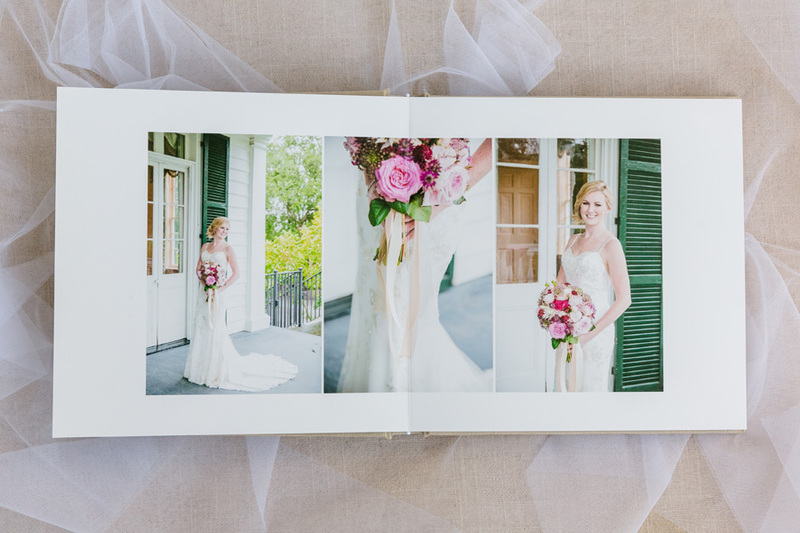 Take a look at this lovely album design we get to show off today! 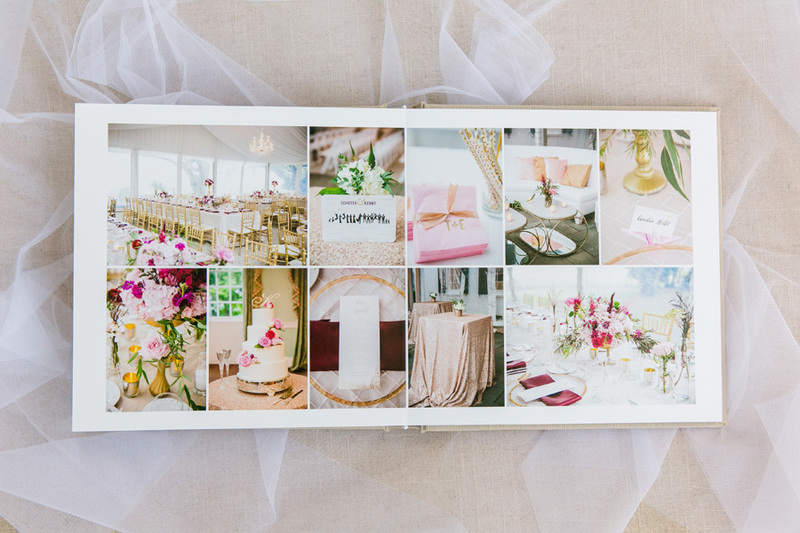 This charming wedding photographed by Dana Cubbage takes place at a South Carolina plantation home and features a gold and berry purple color theme. Dana did such a great job capturing the beauty of this event -- and until I read her blog, I didn't even realize that torrential rains occurred partway through the day! Thank goodness for First Looks and pre-ceremony portraits! 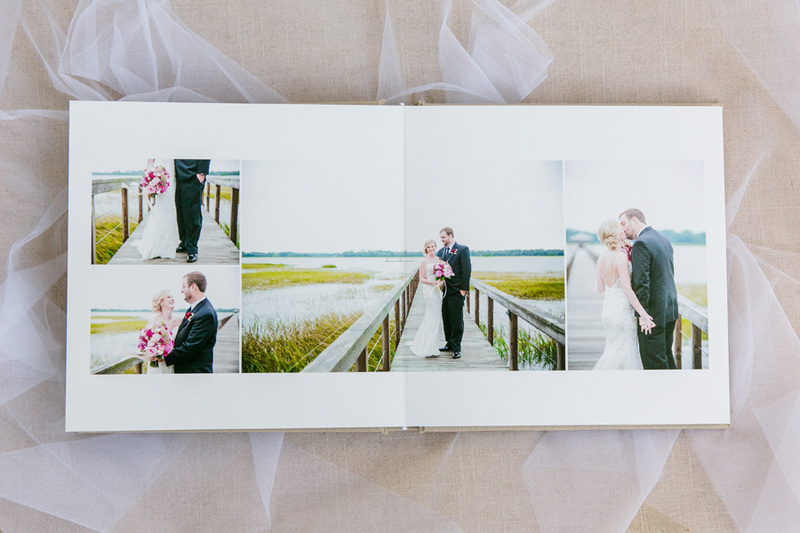 Dana is a talented wedding photographer based in Charleston, SC who was sweet enough to send us photos of this album design in its printed form! 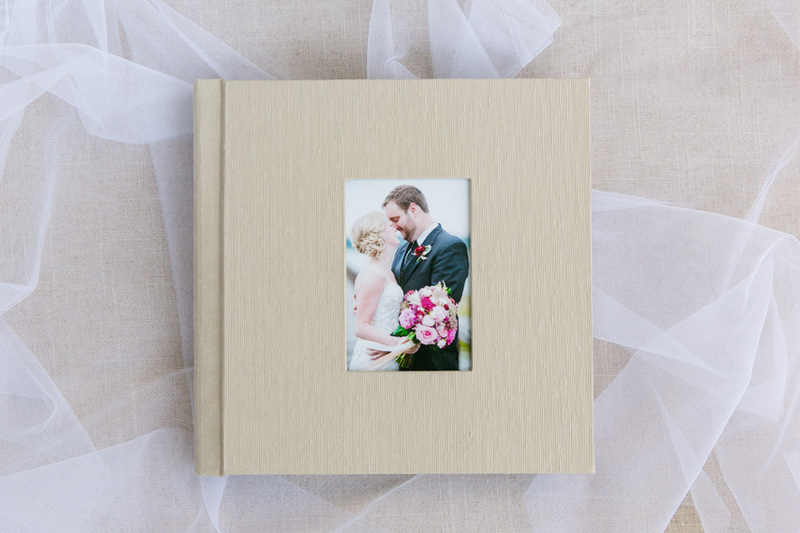 Here are some photos of the Red Tree 10x10 album with a Champagne silk fabric cover. Ooh la la! Check it out below!